Farai - Rebirth. Vinyl LP, CD. Bleep. 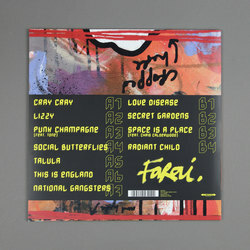 London duo Farai drop their incendiary debut LP via Big Dada. Rebirth is a collection of impassioned post-punk. 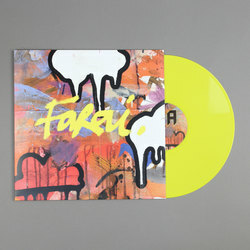 Vocalist Farai Bukowski-Bouquet is a commanding presence up front - equal parts M.I.A., Siouxsie Sioux and Roots Manuva, the Zimbabwean vocalist rages against the machine with fire in her belly. Her diatribes are given all the more power by TONE’s brash instrumentals. Whether he’s serving up Motorik Krautrock (‘Love Disease’), loping trip-hop (‘Punk Champagne’) or stargazing psychedelia (‘Radiant Child’) TONE’s beats serve to keep Rebirth’s energy up across the eleven tracks here. All in all, it’s an arresting debut from a group with a point to make.